Memories of childhood, and all the things that made it great. That is the purpose of this website. Check back, as we are updating constantly! Which creepy comedy reigns supreme? David makes a compelling argument in this article. Was E.T. the worst Atari game ever? Michael doesn't think so. Find out more in this article. David reviews this great movie, chock full of video games and cheesy 80's goodness! 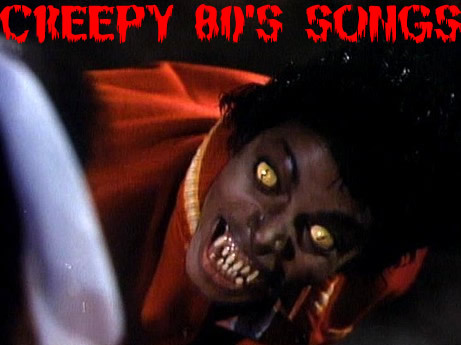 The 80's had some totally awesome music, but some of the lyrics make Michael say, "Gag me with a spoon!" Like, fer sure! Imagine a World where Garfield is FUNNY! Michael used to enjoy Garfield. That's because Garfield used to be funny. And with your help, it can still be funny. Read more about it in this article. Samantha vs. Jeannie: Who Would Win? Who would reign supreme in this magical melee? Samantha Stevens or Jeannie? Michael and David hash it out in this article. Read the debate, and cast your vote in our blog! Michael still loves 80s songs, and he has noticed that a lot of them have to deal with dreams. Michael sleepwalks you through a list of 14 dreamy tunes. Did you know that Michael won a shopping spree when he was a little kid? Well, he did, and he reminisces in this article. A lost episode of the Twilight Zone has been discovered. Sure, it's only four minutes long, and David and Michael filmed it when they were kids, but those are just minor details. Michael provides commentary / analysis on this episode in this article. A board game based on Family Ties? It exists! David tells you all about it in this article. David has noticed some 80's songs have some pretty creepy lyrics. Check them out in this article. Michael examines some terrible Atari 2600 games in this article. Michael recalls some Arbor Day school-related activities of 1987 & 1988, and the childhood trauma that resulted from them. David reminisces about five classic Atari games that were unique, but fun! Do you enjoy threesorryboys.com? Do you like action figures? Support our online toy store, Toycade!